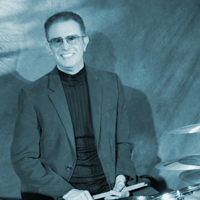 Like many drummers of the era, Mike began playing drums in a rock band in his early teens. Hailing from Livingston, New Jersey, he studied with Don Megaro and then Glen Weber at what is now the New Jersey School of Percussion. 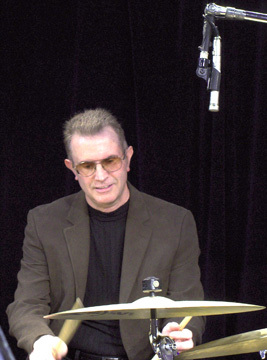 He soon moved on to jazz, first sitting in with the New-Orleans-styled Buffalo Disaster Jazz Band and then playing not-so-standard standards with keyboardist and current producer and arranger Charlie Elgart. As percussion lead at Clemson University he directed a transition from military styled drums to the multi-percussion format that is the mainstay of today’s drum corps and marching bands. He also performed with various ensembles, including a new CU Jazz Ensemble. 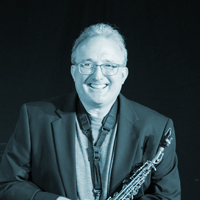 Mike entered the Atlanta music scene playing with various small combos and big bands such as The Modernaires and the quintessential Sentimental Journey Orchestra. 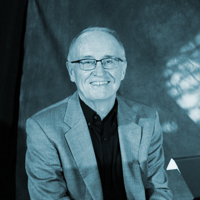 He later studied mallet keyboard and multi-percussion for wind ensemble and orchestra with Thamyris co-founder and artistic co-director Peggy Benkeser. Mike freelances in and around Atlanta. 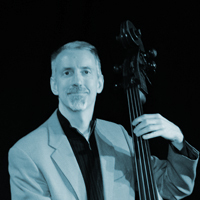 He has played in a number of local orchestras (both drums and percussion) and has performed on studio and field recordings with the Atlanta Wind Symphony, Michael O’Neal Singers and the Zephyr Brass Band. 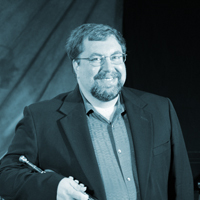 Principal Percussionist of the Atlanta Wind Symphony for eight years, he has also held the same position for more than ten years now with the Georgia Philharmonic under the direction of Philip Rice. Mike also teaches general percussion and was the Percussion Coordinator for Centennial Knights Drum Line for seven years.